Ever since audiences heard Goldfinger utter the famous line, “No, Mr. Bond; I expect you to die,” as a laser beam inched its way toward James Bond and threatened to cut him in half, lasers have been thought of as white-hot beams of intensely focused energy capable of burning through anything in their path. Now a team of Yale physicists has used lasers for a completely different purpose, employing them to cool molecules down to temperatures near what’s known as absolute zero, about -460 degrees Fahrenheit. Their new method for laser cooling, described in the online edition of the journal Nature, is a significant step toward the ultimate goal of using individual molecules as information bits in quantum computing. Currently, scientists use either individual atoms or “artificial atoms” as qubits, or quantum bits, in their efforts to develop quantum processors. But individual atoms don’t communicate as strongly with one another as is needed for qubits. 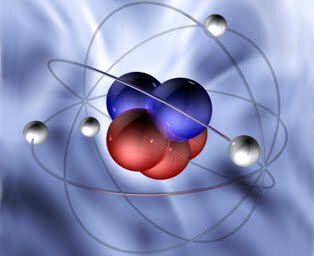 On the other hand, artificial atoms—which are actually circuit-like devices made up of billions of atoms that are designed to behave like a single atom—communicate strongly with one another, but are so large they tend to pick up interference from the outside world. Molecules, however, could provide an ideal middle ground. In order to use molecules as qubits, physicists first have to be able to control and manipulate them—an extremely difficult feat, as molecules generally cannot be picked up or moved without disturbing their quantum properties. In addition, even at room temperature molecules have a lot of kinetic energy, which causes them to move, rotate and vibrate. To overcome the problem, the Yale team pushed the molecules using the subtle kick delivered by a steady stream of photons, or particles of light, emitted by a laser. Using laser beams to hit the molecules from opposite directions, they were able to reduce the random velocities of the molecules. The technique is known as laser cooling because temperature is a direct measurement of the velocities in the motion of a group of molecules. Reducing the molecules’ motions to almost nothing is equivalent to driving their temperatures to virtually absolute zero. While scientists had previously been able to cool individual atoms using lasers, the discovery by the Yale team represents the first time that lasers have just as successfully cooled molecules, which present unique challenges because of their more complex structures. The team used the molecule strontium monofluoride in their experiments, but DeMille believes the technique will also prove successful with other molecules. Beyond quantum computing, laser cooling molecules has potential applications in chemistry, where near absolute zero temperatures could induce currently inaccessible reactions via a quantum mechanical process known as “quantum tunneling.” DeMille also hopes to use laser cooling to study particle physics, where precise measurements of molecular structure could give clues as to the possible existence of exotic, as of yet undiscovered particles.